Two posts in one month? Something must be up. Oh yes it is, peeps. Big time! 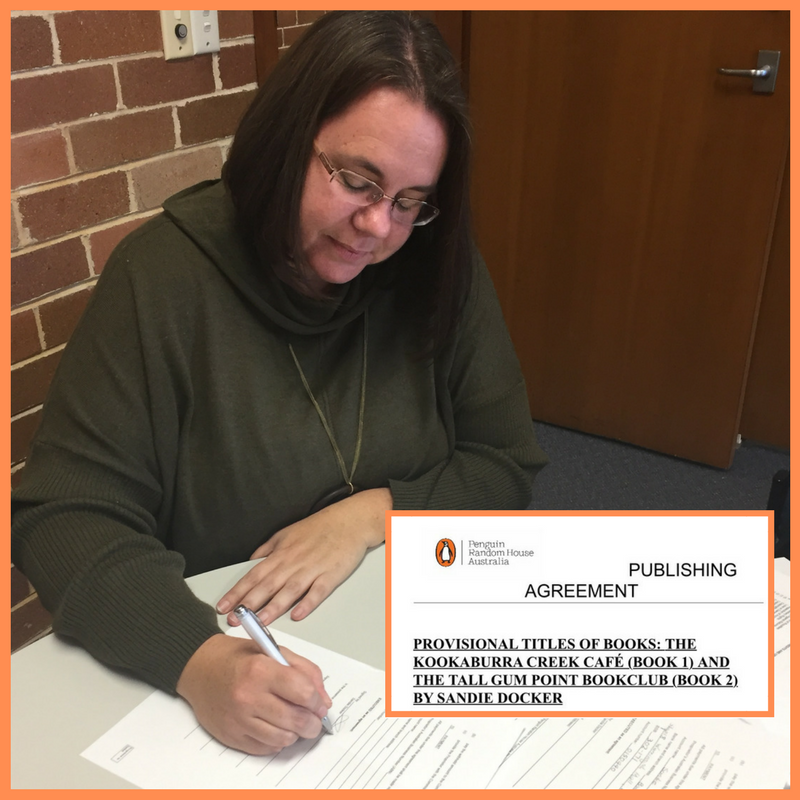 I am so excited to share with you all the news that I have signed a two book deal with Penguin!! And not just in my dreams. For real. Actual real. It’s been a long and often tough journey, but it’s totally worth the wait. First, it’s Penguin – home to some of my literary heroes like Jojo Moyes, Monica McInerney, Marian Keyes, Fiona McIntosh, Kate Forsyth… (I could go on). And second, a wonderful editor there fell in love with my little stories and took on both manuscripts. Yep. Both of them. She was a little disappointed to learn that Kookaburra Creek is a fictional place, as she’d fallen so hard for the community that she wanted to go live there. Praise for a writer doesn’t come any higher than that. Over the next few months I’ll be able to share more details as I embark on this amazing journey from writer to author, but for now I just wanted to share the amazing news with you as I’ve been bursting at the seams having to sit on this while contracts were signed. Thank you for coming on this journey with me so far, and I hope you stick around for the next part – it’s going to be a wild ride!! This entry was posted in Uncategorized and tagged featured on July 21, 2017 by sandiedocker. Yaaaaaaaaay! Finally your dream come true, well one of them….Congrats for not giving up and pushing through the heartache of rejection – you’re an example to all of us and we are so proud to call you our friend. Sandie! That is Fantastic!!! So so thrilled for you. Congratulations!!!! Thank you Shelly. Who’d-a thought that night we met at the AWC event that we’d both be in this position now?!?!? Just goes to show that hard work, perseverance and following your dream can pay off. So proud of you! It certainly is about the work and the perseverance! Congratulations Sandie. Such exciting news. Thanks Wendy. It’s really exciting and so glad I can share the news with you. Thanks K. I’ll have to send you an email if you want ALL the details. Thanks John and Sandra. That would be Mrs Austen, high school English teacher who introduced me to Miss Austen! Wonderful, wonderful news. Congratulations, Sandie. Exciting times ahead! Congratulations!!! This is the BEST news!!! Delighted to hear this, warmest congrats. And yes, Penguin, what a fantastic publisher: I can just picture their spine with your name on it! Don't want to miss any blog articles?